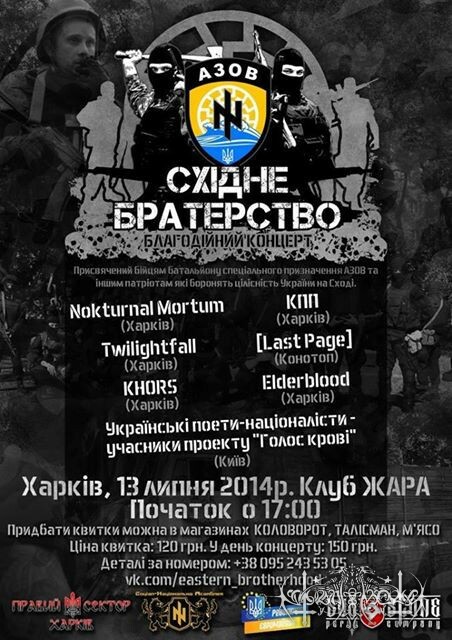 "Eastern Brotherhood" gig in support of Ukrainian army in Kharkiv on 13th of July. Participants: Nokturnal Mortum, Khors, Elderblood, KPP, Twilightfall, [Last Page] plus Ukrainian nationalist poets. The event will take place in Zhara club at 5 p.m.